The physicians and scientists at the University of Chicago Medicine continue to perform groundbreaking research on bladder cancer to improve treatments, survival rates and quality of life. Our physicians partner with basic science researchers across the institution to better understand the molecular, genetic and biochemical make up of bladder cancer in order to discover new therapies that allow us to deliver personalize medicine to each individual patient. As immunotherapy continues to show promise in cancer treatment, our team is among the leaders in investigating the use of patients' immune systems to shrink tumors and prolong survival for all stages of bladder cancer. We are assessing the use of novel immune checkpoint molecules to identify and attack cancer cells in the body. For example, in a recent study, our experts discovered that anti-PD-L1 immunotherapy atezolizumab was effective for patients with advanced and metastatic bladder cancer. Immunotherapy research is allowing us to create a new treatment paradigm for bladder cancer at the University of Chicago Medicine. By studying the biology of patients' tumors, genomic information and genetic abnormalities, our physician-scientists develop more targeted treatment plans by selecting drugs that will complement an individual's genome. Our research shows how certain genetic mutations can impact a patient's response to certain drugs, enabling novel treatment options for patients with metastatic bladder cancer that developed resistance to the other first-line treatments. Our physicians continue to make advancements in personalized cancer therapy. Through our Center for Personalized Therapeutics, we are studying pharmacogenomics information to better understand how a patient's genetic variations correlate with how his/her body will respond to a certain medication. Through projects like the 1200 Patients Project, we are using this genetic information identify the best medication for each patient to maximize effectiveness while reducing unwanted negative side effects. Advancements using a person's unique genetic makeup to deliver individualized drug therapy not only improve a patient's response to the medication, thereby improving their health, but can also prevent potentially fatal drug toxicities. 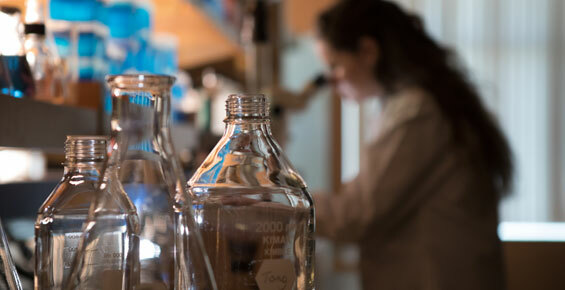 As members of the University of Chicago Medicine Comprehensive Cancer Center (UCCCC), an NCI-designated comprehensive cancer research center, our clinicians and researchers are pioneering new treatments for bladder cancer. 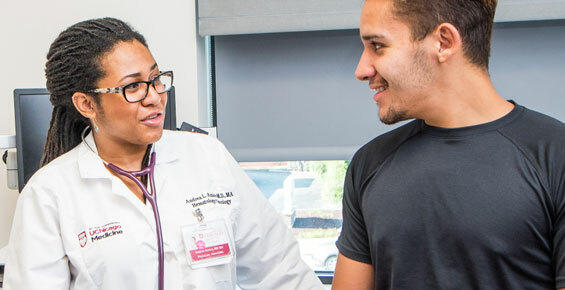 By offering more clinical trials than any other institution in the Chicago area, we provide our patients with access to the most advanced therapies available. These clinical trials allow patients to benefit from novel therapies before they are widely available, putting them at the forefront of cancer care. Request a second opinion from UChicago Medicine experts in cancer care. UChicago Medicine bladder cancer experts are actively conducting clinical trials of new and better ways to treat bladder cancer.